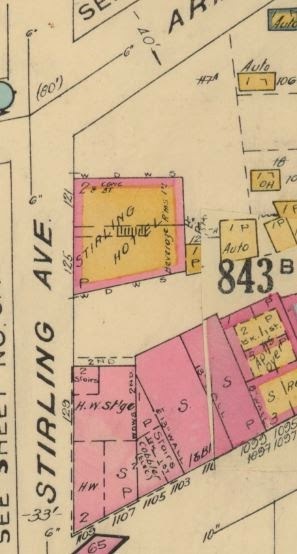 If anyone has any other Stirling Avenue related stories or memories, perhaps of the Stirling House tavern, please feel free to share! I worked for CCOC when we acquired and renovated the Stirling. 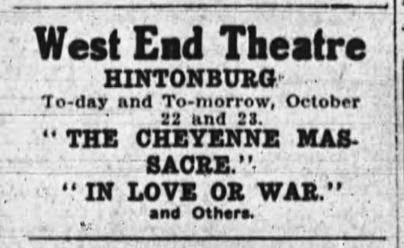 (Years earlier, as a renovation contractor, I frequently bought materials at Hubert Heating a block away on Armstrong - I always meant to stop into the tavern for a pint but never got around to it.) During our reno work many neighbours came by with tales of the shenanigans. When a fire broke out one evening the lads just took their beers outside to watch the fire crew do their work. 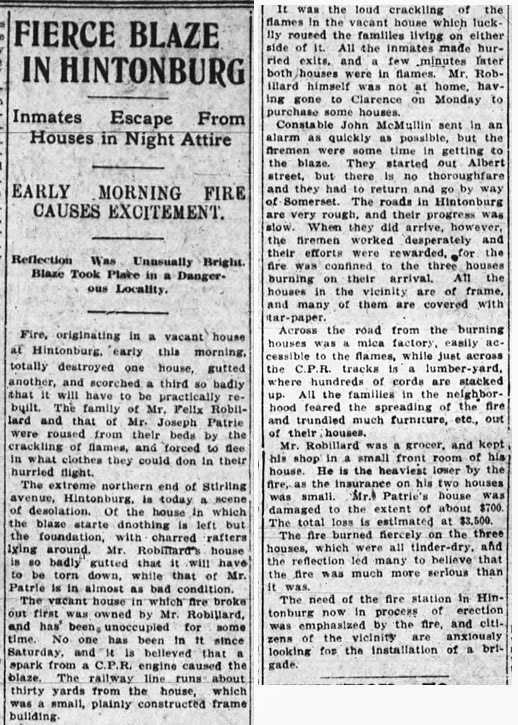 The neighbourhood women came by pleading with the firefighters to shut off their hoses and let the place burn! There wasn't much salvageable when we got to work, but we kept as much of the old terrazzo floors as possible, and there was a (mostly) intact stained glass window that we suspended below the ceiling lights in the Stirling St. foyer. What year would that fire have been, Glenn? The Blais family sold their house to their daughter Alexandrine who was married to Adelard Dinelle (my grandparents). My other grandparents Nicholas and Ellen Copeland bought 85 Stirling and subsequently built houses at 87 and 89 Stirling. Hey Nicholas. Thanks for sharing, so really then the house stayed in your family for 67 years. Incredible. Your family must have been a little sad to see it be torn down about ten years ago. Great family connections to the street - another reason why Hintonburg is so great, it always was its own little world. Cheers. The house was in my grand-father's and my mother's name until she died in August 1980. I was not surprised it was demolished. The windows were not insulated nor were the walls, there was no basement, there was an add-on bathroom (original was outhouse in the back-yard for many years) - in other words it was cold and hot. I lived there from the time I was born in 1944 until I was married in 1964. Part of me was sad to see it go but I really don't think it was a candidate for renewal - to say the least! To be honest, I always found the house a little creepy. While 98 Stirling was in the family for 67 years, 85, 87 and 89 Stirling were probably in the family longer than that. Growing up I lived at 87 Stirling then we moved into 85 for a few years and when the family got too big, we moved into 89 all of which my grandmother Copeland owned. My mother inherited the homes in 1978 when my grandmother passed away at which time my wife and I moved into 87 and subsequently purchased it in 1980 and then resold in 1985. 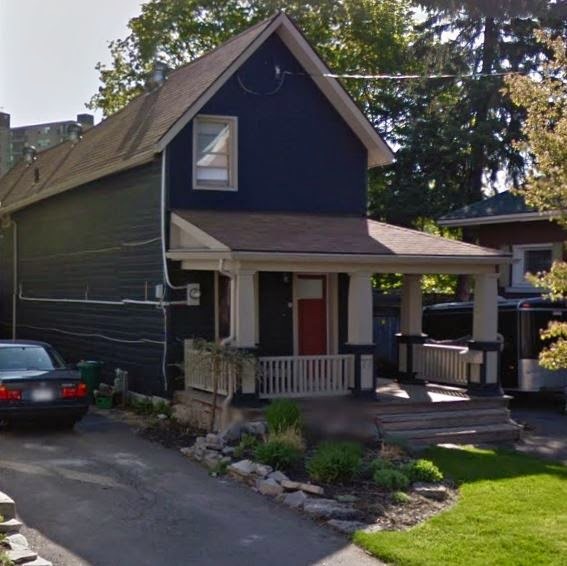 I loved that house but it was costing us a fortune to heat and by the 1980's the neighbourhood was becoming pretty rough so we decided to sell and move our young family to Kanata. How neat - I'm living in 87 now, and I'm loving learning about all this history. Would either of you like to chat with me as well? I'm Dave's friend who originally asked for the history of 98. Lived there in the 80s. I think my mom would also enjoy talking about this. She's doing a lot of memoir type writing these days and is enjoying reminiscing. Also, Nicholas, I remember in the 80s there was a young woman who lived in 87 or 89. She could have been anywhere between 17 and 30. I used to bring her violets (I would have been under ten years old) and I thought she was so lovely and sweet. Was she a relative of yours? I don't recall her name. 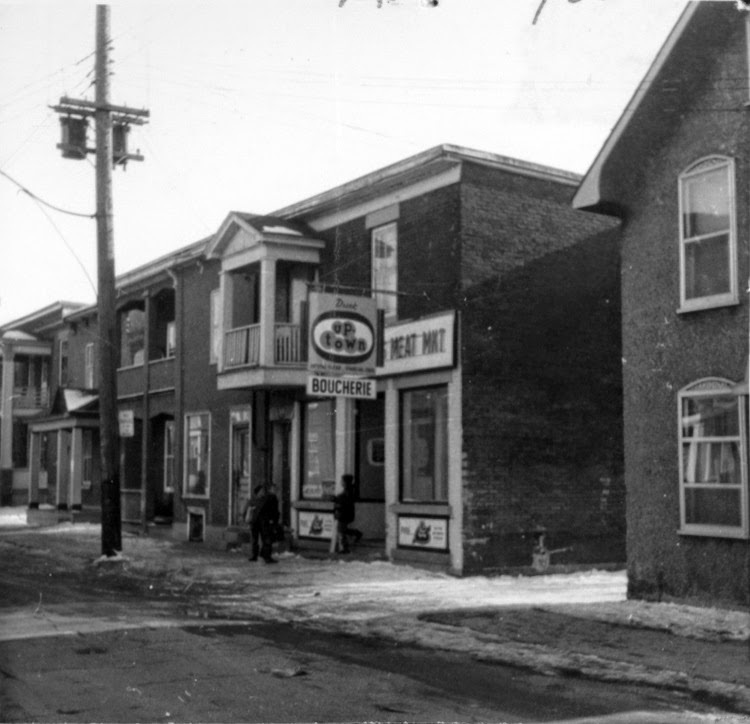 According to one of my cousins who lived near the St-François d'Assise school on Stirling until the sixties, the picture of the Verdon grocery store could not have been taken in 1965. He says it was closed five or six years before that. I would rely on his memory. I also have a list of St-François d'Assise parish members dated January 1964 and it lists for the following addresses on Stirlng Avenue: 34A (Léo Tremblay, Robert Dion, Béatrice Tessier, Léon Tessier; 38 (Roland Tessier). No Verdon is mentioned. Hi Pierre, thanks for visiting the blog. I thank you for your comments as well. 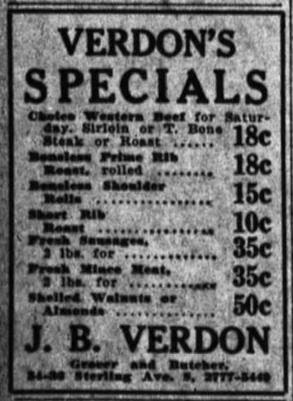 You're probably right, the Verdons may have sold the business prior to 1965 (at hand I have sources listing them as operating the store up until at least 1960), but that store definitely stayed open until at least 1965 (aerial photos from that year confirm it, and the City of Ottawa Archives dated that photo March 1965). I took an even deeper look into a few sources I have at home just now and in fact there are business operating out of 34-36 Stirling until about 1970). It was definitely gone by 1973 though. As a history perfectionist, I usually strive to get exact dates, so I appreciate your help in clarifying things. 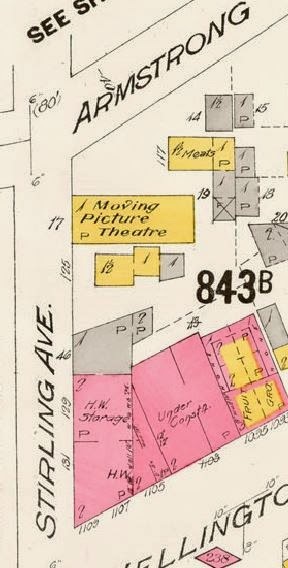 My mother was born at 40 Stirling (right beside the store, now a park) in 1931. 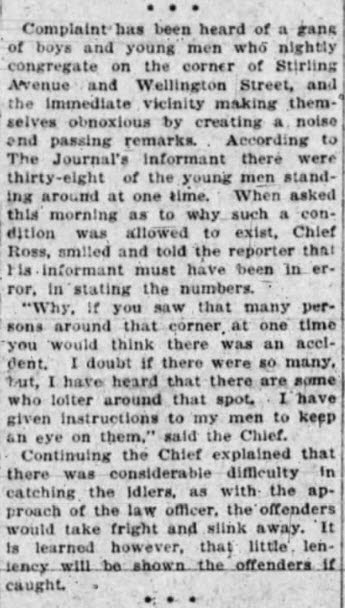 Her family moved there in the mid 1920s and one of the first things they did was have the house moved a few feet to one side of the property, so that there could be a driveway for automobiles.. They didn't own a car but at the time adding a driveway was a sure fire way to increase the value of the house. Before moving, they had lived at 17(?) 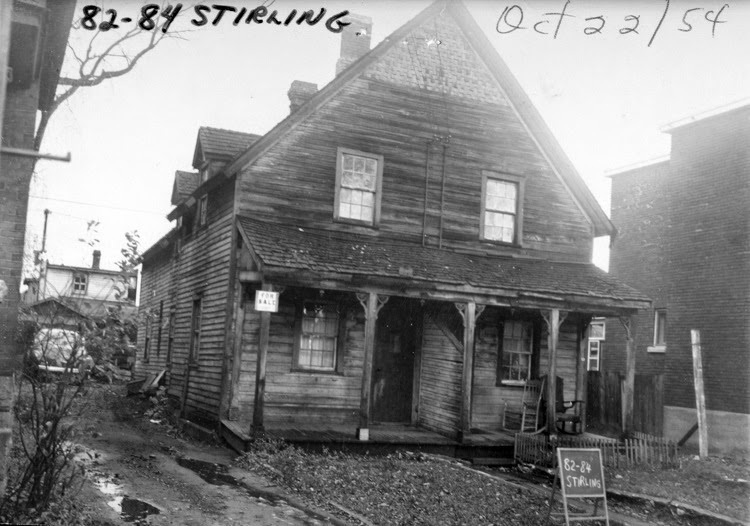 Stirling, just across from the school, since 1913. 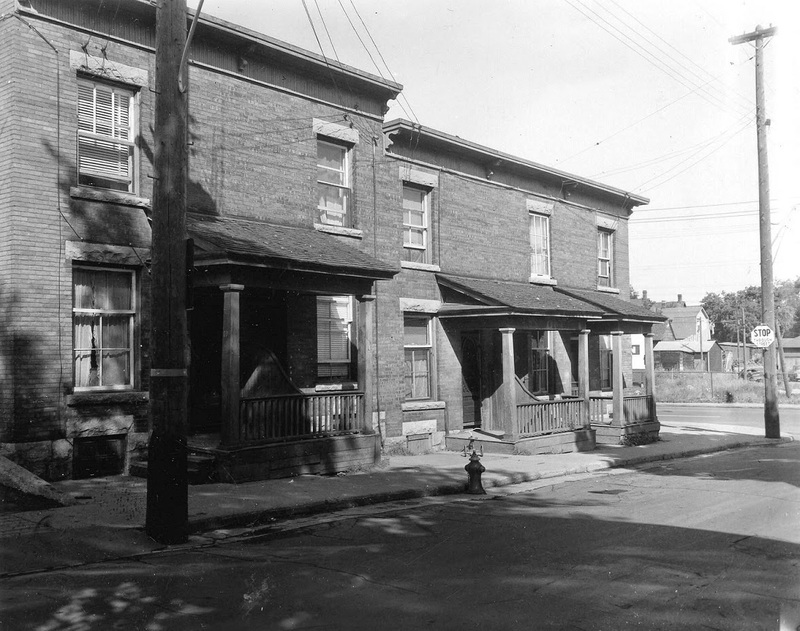 They would leave for Montreal in 1943 and return in 1947, this time to live on St Francis. I heard many stories about the area growing up. Old Mrs Ferone of Ferone's store, who wore men's shoes and always drank gin from a tall glass because 'water disagreed with her'.There was a Chinese laundry on Wellington and my mother would always hide her hands in her pockets when she passed it, because she had been told that the Chinese considered little girl's fingers a delicacy. hi Glen, I'm super late with a thank you, but this comment was excellent. These are the types of little neighbourhood stories that I was hoping would be shared in the blog. So thanks for taking the time! In the 1960's Stirling Avenue was teeming with children; there was no one on our street practicing birth control! We were 8 kids at our place (Dinelles), the Saumurs at 105 had 10 kids. the Diottes at 101, the Merciers at 100 and the Muldoons at 86 each had 6 kids. 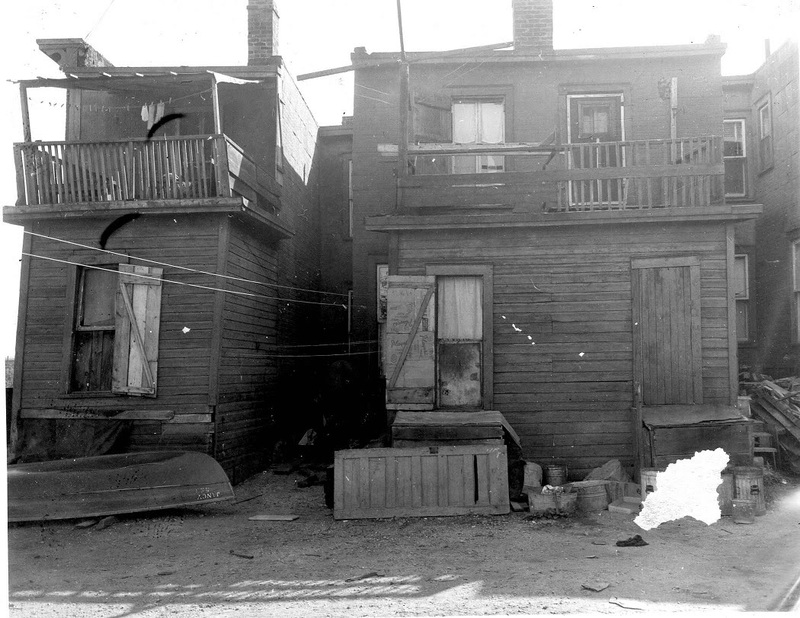 Further down the street the Chartrands at 27 had 7 kids, the Trotiers at 33 had 8 or 10 kids and there were several other house on the street with enough children to fill a school bus. I sometimes think that they built St. François d'Assise school just to accommodate Stirling Avenue kids. Nicholas. 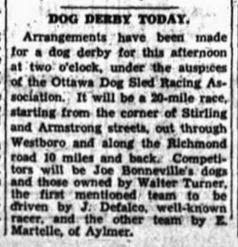 I like your article, I went to St-François d'Assise school and lived at 84 Carruthers in Mechanicsville. Everyone knew everyone in these 2 neighborhoods. 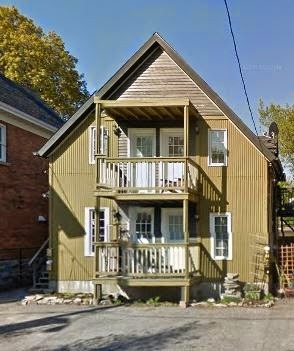 My grandparents lived at 258 Carruthers. My brothers and I attended school at 12-24 Stirling, myself from 1950 to 1957 (skipped Grade 3). My father ran A.J. Bédard Hardware at 1109 Wellington, corner of Stirling, from 1927 to about 1960. Phone number was 88747... Like other family members, I would work at the store from time to time filling varsol or turpentine bottles, sometimes helping out with customers and inventory. Most of our customers spoke French. Story has it that some fellows would come into the store and sneak out the back door on their way to the Stirling Hotel, so that the wife wouldn't know where they were going... My mother would do her shopping every Saturday morning at the A&P on the other corner of Stirling and Wellington, the groceries were sent over to my father's store. I have just discovered this wonderful page. Thank-you! Wondering if anyone remembers the Maple trees on Sterling avenue in 1966. I seem to remember seeing buckets attached to the trees and waiting for the syrup to flow down. I would love to see a picture of that. I can't find any pictures of the school St. Francois D'Assise. That's the school I went when I was young. From 1973 to 1983. The last year the school was open. We had a big party that year because we were the last students to be in that school. Good morning. For the last 5 years (on and off) I have been working on the family tree and hitting a brick wall. Last night I woke up at 3 am with the thought that the common denominator was not a person but a place. I got up and googled 98 Stirling and wow! 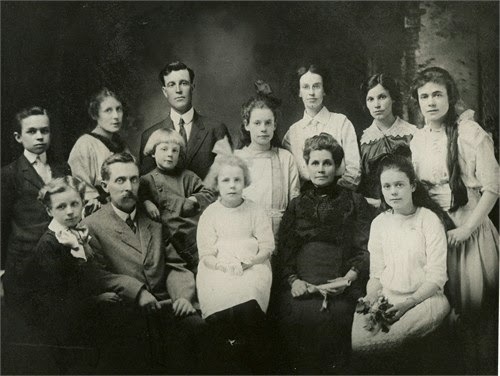 My name is Christine Blais and I am the grand-daughter of Edwin (the man standing beside Adeline). My father went to Saint-Francois from 1939-1942 (I have class pictures) and was with the scouts (more pictures). My brother also went to Saint-Francois (probably around 1958/59. My job was to walk him down Stirling Ave and cut across to go to St Conrad. It was an embarrassing time or me to walk with a kid brother. A point of interest is that Wilfred and family were living at 98 Stirling in 1901 (see census data). That means that he lived in the same place for at least 43 years. Please, if anyone can give me a clue as to Wilfred's mother and father background, I would be so grateful. Christine, my grandmother was Alexandrine Blais and owned 98 Stirling so I have passed on your note to my aunt who can probably provide a lot more information than I can. Was your brother's name Lionel? There was a Lionel Blais in my class at St.François and I was in kindergarten in 1959 and I believe that I also had a second cousin (maybe Michael) who lived on Melrose.